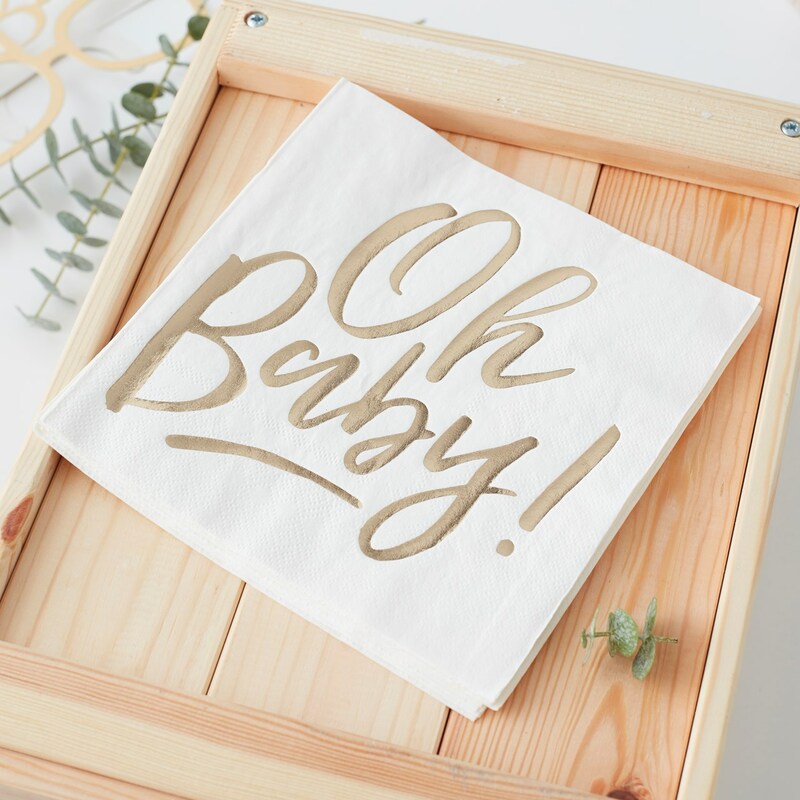 Our ""Oh Baby"" napkin is the perfect touch for balancing all the tasty treats that will be served at the baby shower! The gorgeous gold foiled scripted writing looks elegant on a neutral white background. Use the napkins for treats and to protect those party outfits! All that""s left to do is enjoy this special moment with family and friends. Each pack contains 16 napkins measuring 330mm open and 165cm (Squared) when closed.